Children will be free to do as they wish with their time, within the confines of our safety rules and the Code of Conduct, which will be democratically created by our entire community. The goal is to create an environment where children can truly be part of a community, and where children will be given the autonomy and respect that they deserve. At a weekly Group Meeting we address successes, solve problems, create or remove rules, and otherwise manage our community so that it may reflect the people in it. What is a free education? A free education is one that is entirely directed by the individual. This means there is no compulsory curriculum, no mandatory lessons, no assignments and no grades. All academic work is completely optional and will only be completed when and how the individual chooses. When an individual is allowed to direct their own learning, they are able to follow their passions and learn on a deeper level, in a more complete way. Without an adult filtering the information, topics are often learned in a much more diverse and broad way. But won’t there be gaps in their education/how do they learn everything they will need to know? Will there be gaps? Yes, of course. There are gaps in everyone’s education. However, when a child is allowed to direct their own learning, they are learning how to learn, so that if one day they want to learn something that conventional schools teach, they will have the tools to find the relevant information. What do you do when you realize you need to learn something new? Why, you learn it, of course. The 21st century is the Age of Information, and we have almost all the answers right at our fingertips- all we need to know how to do is access it. There is no deadline to our learning- one does not need to learn any specific skill by a particular age. Learning is a lifelong process that doesn’t end at age 18. We are constantly learning. Won’t they just play all day? Possibly! Play is a hugely important element of child development. A child who is allowed to play at will develops strong communication and problem solving skills, learns to set and achieve goals, and learns how to relate to their world. Children in play-based schools routinely do better in later grades as a direct result of their early childhood play experiences. Students in free schools do play more than their counterparts in conventional schools, and evidence proves that their instinct to play, move, and explore their world through play is one that needs to be strongly protected and encouraged. There can be great harm in prematurely stifling a child’s need to play in favour of academic work; those who are allowed to naturally outgrow it become focused, creative, and lifelong learners. Academic lessons will always be available for those children who choose to commit to and attend them. Students may work with other students and staff to organize classes pertaining to their interests, as well as field trips, speakers, and workshops. In addition to a regular academic schedule, students will always be welcomed to participate in, or organize their own, arts, drama, woodworking, and music classes… whatever else they can dream up! There will never be any grades, homework, assignments, or “gold stars” given at Maple Hill. We firmly believe that learning should be intrinsic; to force learning on someone goes against the very nature of our community. The freedom to choose to learn is one of the greatest liberties we can give our children. See Peter Gray’s 7 Sins of Forced Education. Is this a good fit for my child? Learners are given a large degree of responsibility, as there is no presiding adult telling them what to do with their time. For some children who have been diagnosed with a learning disability, the opportunity to learn on their own timeline and to make decisions about their goals may let them excel in ways that were not previously possible. However, our learning philosophy may not be a good fit for students who need constant expert assistance or who are not able to self-manage their time. This doesn’t sound like a real school to me. Aren’t there things that a school has to teach? Maple Hill Free School will be a Group 3 Independent School. This particular classification of Independent School is not required to adhere the provincial guidelines for curriculum, instructional time, or method. Group 3 school is also not required to issue reports, grades, or standardized testing. See this link for more information on Independent Schools in British Columbia. We believe that students have the right to direct their own education, and that they do not need to meet anyone else’s expectations- nor that they should have to prove themselves. The risks of standardized testing are well-known and widespread. A school such as this (public or Independent) does not exist in British Columbia. 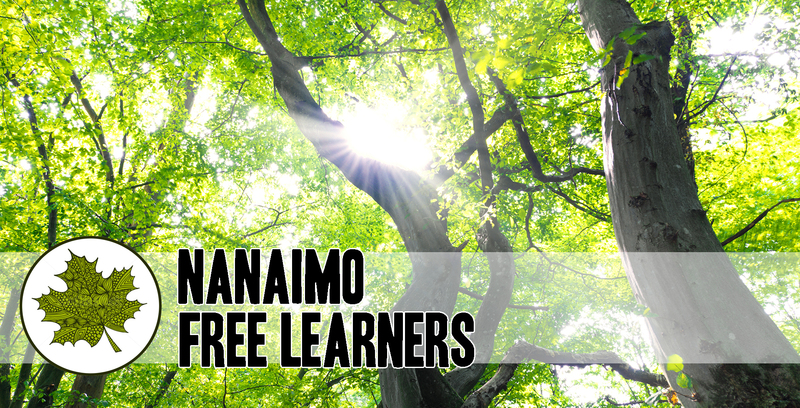 It is our hope that Maple Hill Free School will be the first of many alternative schools in our province. But what about high school graduation? How will my child attend a post-secondary institution? As a Group 3 school, students of secondary school graduation age will not be offered a Dogwood diploma through our learning centre. We hope that by the time our students reach this age that they will be able to reach beyond a predetermined curriculum and pursue their own educational paths. If a secondary school diploma is important to students, they will be encouraged and supported in any way they need to achieve their educational goals. It is worth noting that a Dogwood diploma is not necessarily required to gain entrance to a post-secondary institution. There are a number of ways that students from a non-traditional educational background, such as democratic or free schools, can be accepted to colleges and universities; in fact, many of them have grants and scholarships earmarked especially for home schooled students and actively recruit them because of their creativity, independence, and self-discipline. Home schooled individuals in years gone by have paved the way for non-traditional students in this regard. See How to Get Into University.